Ian Watmore used to be chief executive of the Football Association. Wembley heartache? Pah! Duncan Watmore has bounced back from bigger, more serious setbacks in his short career. For a man who’s just turned 25, Watmore has experienced more than most professional footballers his age. From being released by Manchester United’s academy at the age of 12, to undergoing the rigours of non-league football, sufferingtwo ACL injuries and winning a tournament with England, not to mention completing a three-year business and economics degree to a first-class standard. Watmore’s career to date has been a turbulent one, with the most derailing setbacks often following the forward’s highest highs. That’s why his dad, Ian, has now concerns about his son’s mental toughness after the latest blow, an ankle injury which will see him miss the Checkatrade Trophy final at Wembley and possibly the rest of the season. Ian, a former chief executive of the FA, has followed Duncan’s journey every step of the way, from the visits to United’s Carrington training ground, then called The Cliff, when Watmore was just eight years old. Happier times for Watmore with England Under-21s. With four boys who all played sport, Ian and his wife Georgina had to balance their children’s aspirations in the early days. “We were always very careful to make sure we didn’t prioritise one son above another,” says Ian. “My job was always full on and I was away from home a lot in the week. When Duncan was picked up at Manchester United as a youngster he was going five nights a week, I would do the weekend and either my wife or a friend would take him on the other days. Even at that age, Watmore’s resilience was clear to see and, after he was released by United aged 12, his determination was rewarded. “They told us about three weeks before the end of the season, I think five were let go, and four of them just stormed out, or their parents stormed out, but Duncan said he wanted to finish the season. “That happened to be Man United’s 50th season since the Busby Babes so they brought all of the kids out onto the pitch for the last home game of the season against Arsenal and gave them each a trophy to carry around the pitch. Like many academy dropouts, Watmore soon found himself playing in the lower echelons of the English game, after progressing through the youth team at non-league Altrincham. That coincided with Watmore rediscovering one of his major assets, which has served him well over the years. His pace. Sunderland weren’t the first to show interest, yet the lure of playing for a Premier League club with a state of the art academy was an attractive proposition. 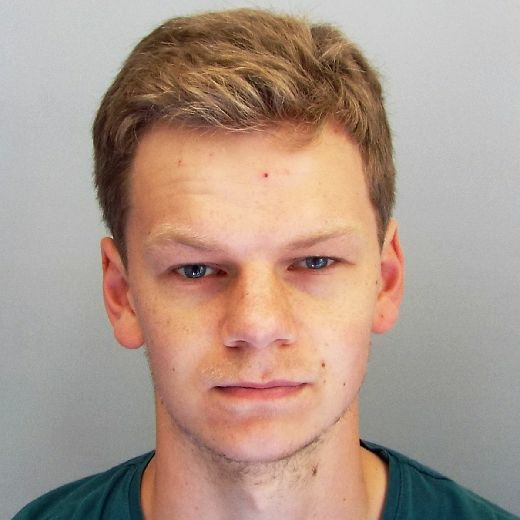 The move would also accommodate Watmore’s academic aspirations, after starting a three-year business and economics degree at Manchester University. A transfer to Newcastle University would allow him to continue his studies – yet the most challenging stage of his career was just around the bend. “He didn’t have a soul up there really, he had one or two friends who were at Newcastle Uni and the double life he was living meant he never really had an opportunity to make friends outside,” says Ian. “He didn’t go to any lectures at university because he was at the Academy of Light all day training. The moment the football was over, which was typically about four in the afternoon, he would be going back to his room to catch up with all the lectures. “Then he got sent out on loan to Hibernian, so he’s now up in Edinburgh, where he knows absolutely nobody, trying to do a degree at Newcastle University, while playing for a team in the SPL which is on the verge of being relegated. There were more dark days to come, however. On returning to Wearside after his Hibs loan spell ended, 2015 was the breakthrough year, the speedy forward making an immediate impact on the first team. Despite missing nine weeks with an ankle issue that year, Watmore returned to play a key part in Sunderland’s escape from relegation under Sam Allardyce. In the form of his life, Watmore also helped England’s under-21 side lift their first Toulon tournament for 22 years, yet his progress and momentum was cruelly cut short again in December 2016. Watmore saw the same surgeon who operated on Paddy McNair, Yannick Bolasie and Connor Wickham in the same week. “He’s Mr ACL knees,” added Ian. “He’s done loads of professional footballers and rugby players, there’s a guy in Spain which the Spanish players go to and the Brits all use this guy in London. True to his word, Watmore returned to first-team action on September 30 for the league game at Preston, following Sunderland’s relegation to the Championship. Then, away at Millwall seven weeks later, the same knee went again. So was it a case of rushing back too soon? Or is Watmore just more prone to injuries that others? “We all believe the second one was a freak one, he did everything by the textbook,” adds Ian. “I think the type of player Duncan is he’s more prone to the bad fouls, for example the other week at Wycombe. With Duncan, it’s in his game to be going away from people. Watmore’s second operation required a slightly different procedure, hence the reason it took over a year to return. Thankfully for the player though, he had been tied down to a four-year contract, which is set to expire at the end of the 2019/20 season, so he didn’t need to worry about finding another club. Still, month after month of rehab and recovery sessions while watching your team slip through the divisions would have been too much for many. 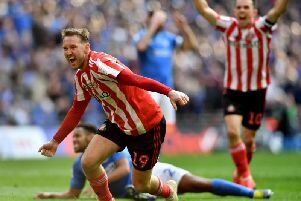 Yet Watmore’s mental toughness and ability to put things into perspective once again came to the fore, and his father’s pride and emotion at how his son has coped with everything thrown at him spills over. “He’s just been incredible,” adds Ian. “He has his down moments obviously but he’s had great support, the club have been brilliant, the fans have been brilliant, he’s got an amazing girlfriend they’re getting married next year. The same traits should help Watmore overcome his latest setback, the ankle injury sustained at Wycombe which will rule him out until May. But if there’s one thing we’ve learnt about Watmore during his career so far, it’s that he’s more than capable of bouncing back.